Product #60495 | SKU MF560BALLSH | 0.0 (no ratings yet) Thanks for your rating! A video accessory that comes complete with a short locking handle to mount all Manfrotto flat-base heads to any 60mm bowl tripod. 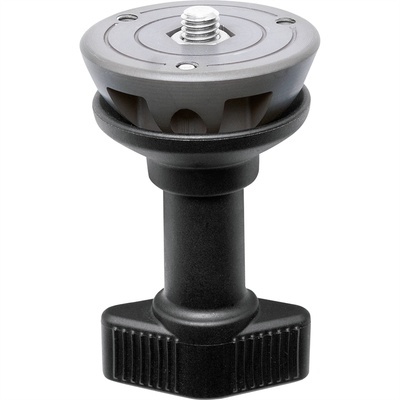 The Manfrotto 60mm Short Half Ball with 3/8"-16 Screw is a video accessory that comes complete with a short locking handle to mount all Manfrotto flat-base heads to any 60mm bowl tripod. This new accessory has half ball for levelling video heads, for example MVH500AH, on tripods provided with a 60mm bowl.